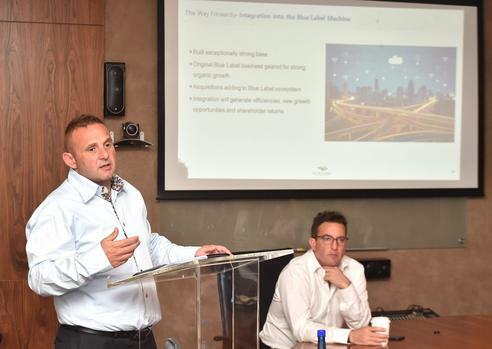 Blue Label Telecoms’ joint chief executives hit out at the lukewarm market reception of its multibillion-rand investment in Cell C as the group’s share price extended its freefall. The group’s stock yesterday plunged 11.04 per cent to R6.85, following a fall of 8 per cent on Tuesday on the back of interim results published by Cell C.
The company’s stock has plummeted 48.53 per cent in the past year to date. Joint chief executive Brett Levy said he struggled to understand why the market has been unkind to the company, especially its investment in Cell C.